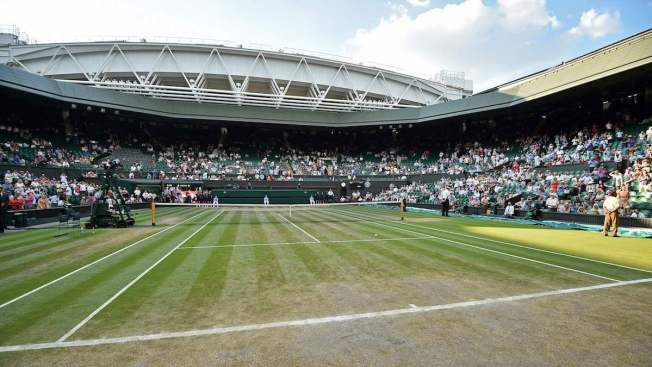 A general view of the state of the grass on centre court on the final day of the 2018 Wimbledon Championships at The All England Lawn Tennis Club in Wimbledon, southwest London, on July 15, 2018. The crooked tennis players knew him as "Maestro." To European investigators, the Armenian based in Belgium is emerging as something else: The suspected ringleader of an organized gambling syndicate suspected of fixing hundreds of matches and corrupting more than 100 players from around Europe.